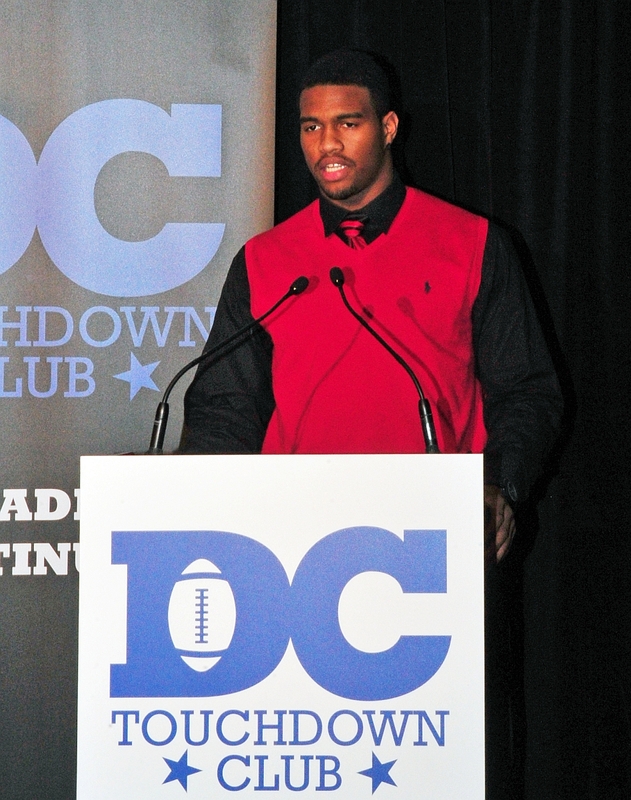 Additional photos from the 2013 event can be viewed on the DC Touchdown Club Facebook page. 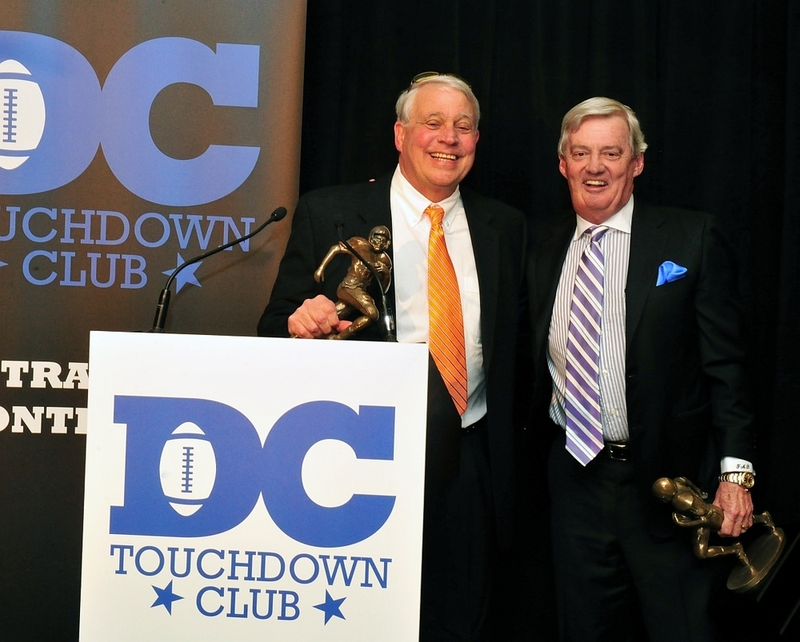 The DC Touchdown Club welcomed a capacity crowd of more than 250 and presented Virginia Tech Coach Frank Beamer with its Lifetime Achievement Award at its Awards Dinner on Friday night at Carmine’s. 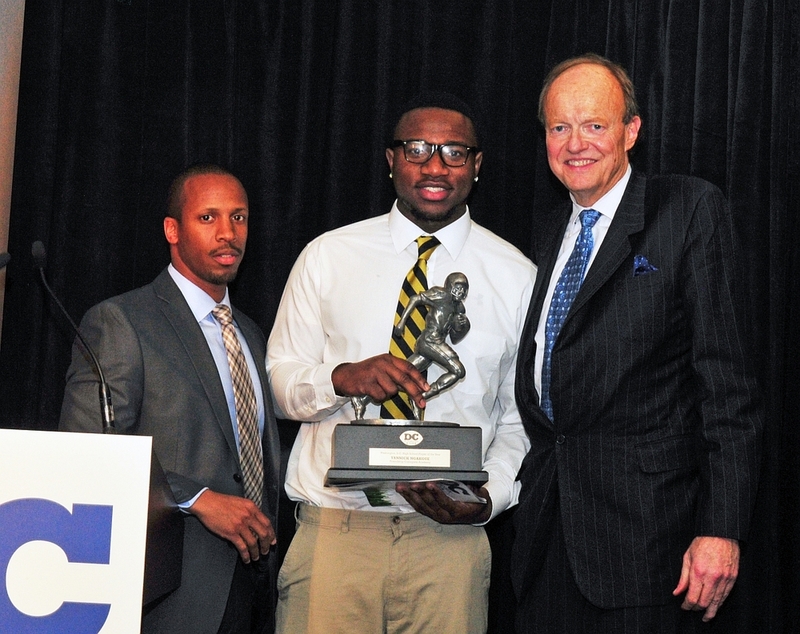 Among other awards, three Parade All-Americans received Local High School Player of the Year awards: Friendship Collegiate linebacker Yannick Ngakoue, who has signed to play at Maryland, was the Washington D.C. player of the year; Our Lady of Good Counsel defensive back Kendall Fuller, who has signed to play at Virginia Tech, was the Maryland player of the year; and Stone Bridge defensive lineman Jonathan Allen, who has signed to play at Alabama, was the Virginia player of the year. Also, Our Lady of Good Counsel Coach Bob Milloy, who has led his team to four consecutive No. 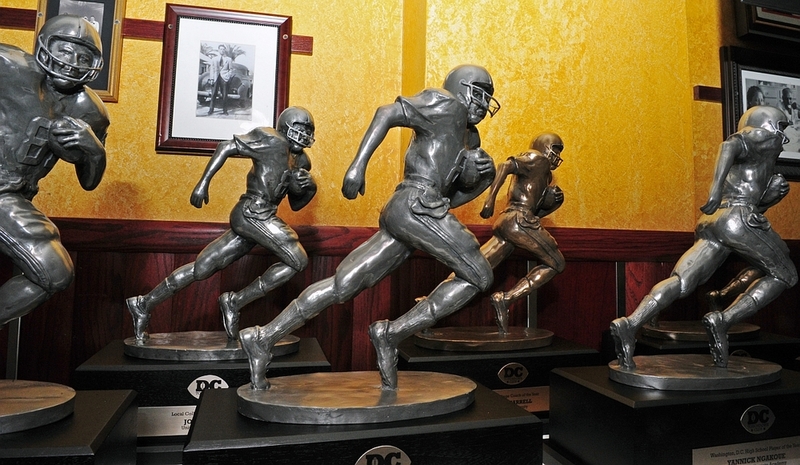 1 finishes in The Washington Post, was presented the Local High School Coach of the Year award. 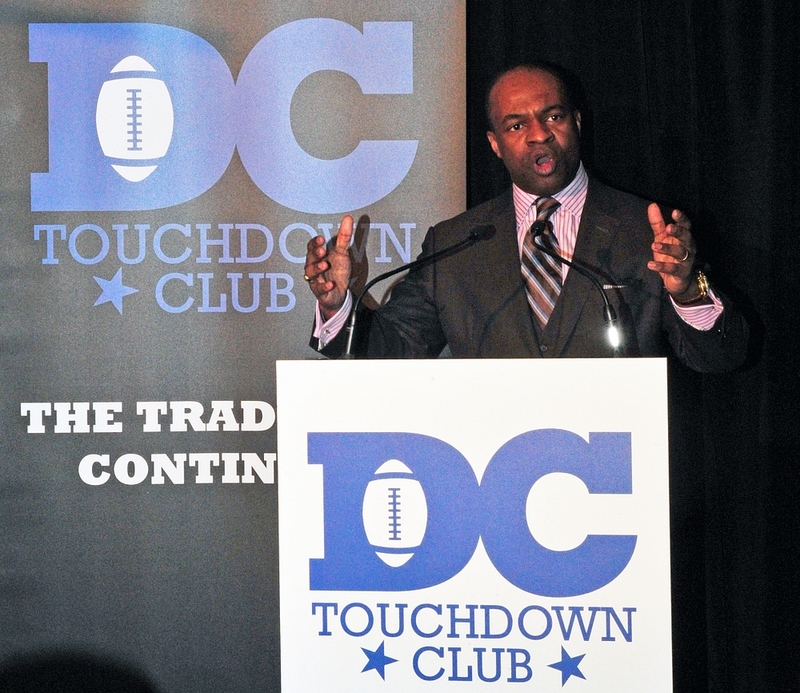 Howard University’s Gary Harrell was named the Local College Coach of the Year. University of Maryland defensive lineman Joe Vellano, who like his father, Paul, was an All-American for the Terrapins, was named the Local College Player of the Year. Also, Reeder presented a check for $5,000 from the Bill Phillips Memorial Fund and a signed helmet from Minnesota Vikings star Jared Allen to SPC(R) Robert Murafsky. Murafsky lost his right eye when he was shot while on duty in Iraq in 2006; today he works as a security specialist at the Pentagon and is very involved in helping other wounded warriors. 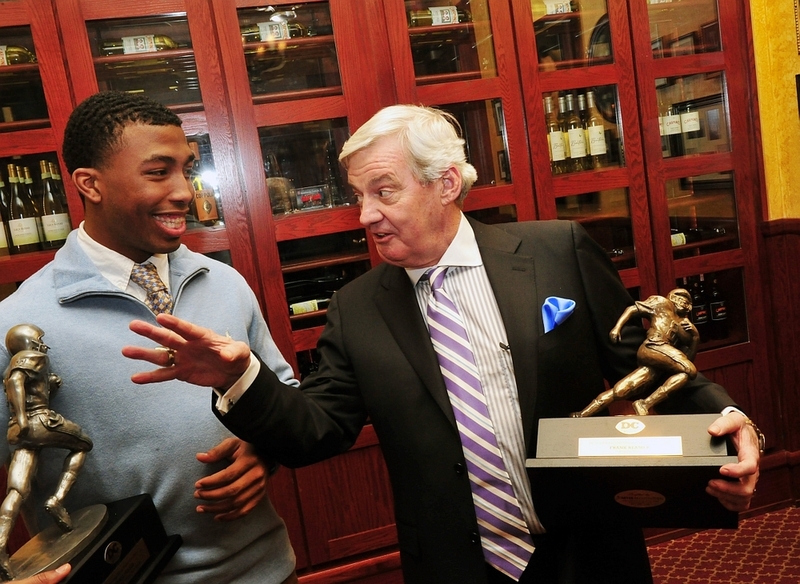 To conclude the night, Beamer called longtime assistant coach Billy Hite up to the podium. 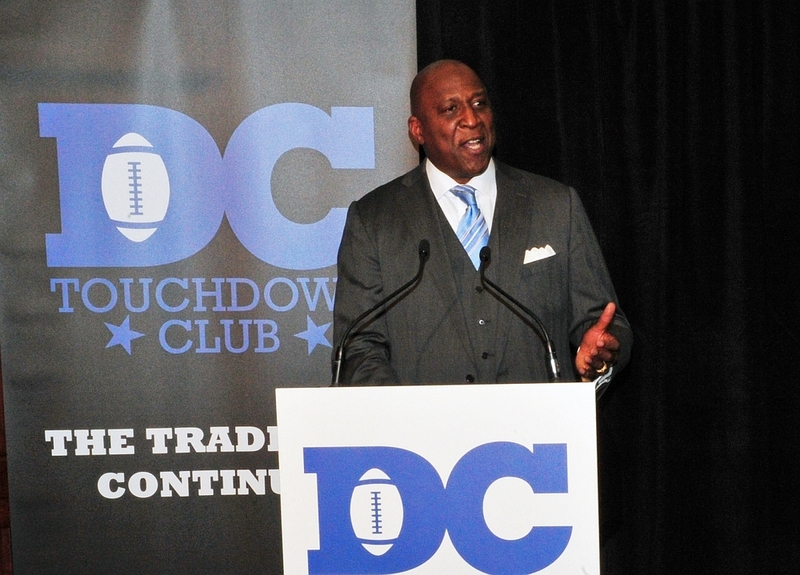 Hite, a DeMatha High School graduate who won a Timmie Award as a high school player of the year in 1968, was surprised with the Local Personality Makes Good award.